A perfect storm of negative economic factors has caused a downturn in restaurant sales beginning mid-January 2013. For restaurant companies with existing loyalty programs, this is the time to act deliberately and strategically to leverage the potential of the program to help weather the downturn. Understand the composition of the sales downturn. How much is a result of existing guests coming in fewer times? How much is a result of existing guests coming in as much but spending less? How much is a result of fewer new guests trying the restaurant for the first time? Develop data-driven marketing tactics that increase sales among loyalty program members in a manner that is measureable. Conduct a quick analysis of behavior among members of your customer loyalty program. Construct several offer ideas that provide extra motivation for loyalty program members to visit your restaurant instead of one of the other choices they have within your category. Turn these ideas into limited-time promotions and select targeted members from the population of your loyalty program. 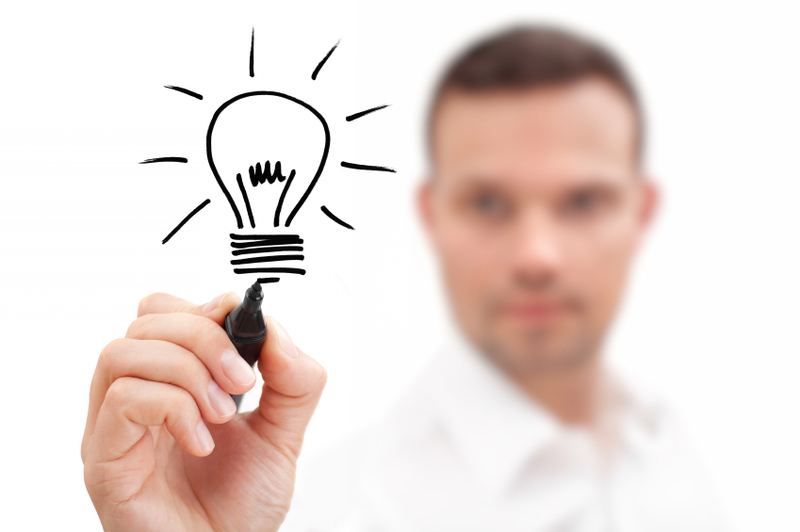 Withhold a control group so you can determine the incremental sales generated by the programs. Implement the promotions and measure results against the control group daily. At the completion of the promotions, assess to determine the best performing promotions. Modify as necessary and incorporate periodic (not perpetual) promotions to enhance the effectiveness of your loyalty program in good times as well as bad times. Promotions conducted through a loyalty program typically include offers that are built around the “currency” of the loyalty program (points or whatever you call the currency in your program). Promotions that use this currency encourage more future visits because the more value a member accumulates, the greater motivation the member has to come back to reach the next reward. It creates what is known as a “cost of defection.” I lose something if I stop coming back. Promotions conducted through a loyalty program typically do not include an immediate discount. Instead they use the deferred value that is a principle of many loyalty programs. Members must continue to visit to accumulate enough to reach rewards of value (or experience the previously described cost of defection). This constitutes the tie-breaker characteristic of a loyalty program. As consumers cut back and visit less, they still visit. The restaurant that provides them with the great value gets a greater share of the visits from that consumer in the restaurant category. Companies with loyalty programs have the ability to examine guest-behavior in detail and understand customers far better than those without loyalty programs. Unfortunately, many marketers fall into the classic trap of relying upon simple statistics that disguise the genuine diversity of your guest base. Using averages to describe the behavior of a larger group of people (such as members of a loyalty program) can be a handy way to provide a sound bite metric (“our members come in about five times per year”). However, averages are of no use in trying to understand unique groups and how best to encourage incremental visits from those groups. Furthermore, averages lie. Averages lead one to believe that most people come to your restaurant about the average number of times, when in fact very few come in the average number of times. If the average is five visits per year, there are many who come in one, two or three times and quite a few who come in ten or more times. 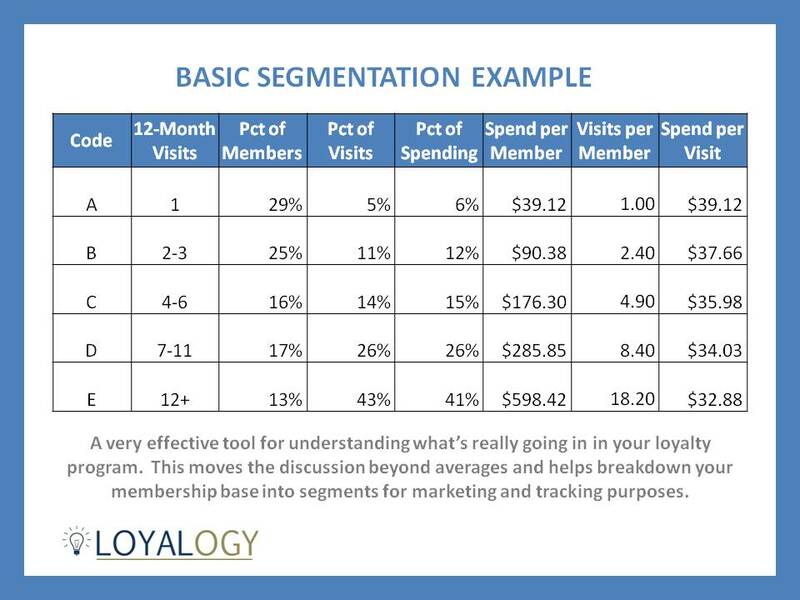 The best way to understand the behavior of your loyalty program members is through segmentation analysis. The best measure of what a guest will do in the future is what they have done in the past. That is a fact. If you haven’t conducted a segmentation analysis of your membership base on a regular basis, now is the time to do so; quickly and expeditiously. Member number. Every member of a loyalty program has some unique identification number within your system. Member activation/enrollment date (the date upon which a member started participating in your loyalty program – used to understand those who are relatively new versus those who are more tenured). There are many other data elements you might use in a more comprehensive segmentation analysis, but these are adequate for a quick analysis under the pressure of sagging sales. Summarize visits and spending by member over the past year. Group into segments based upon common-sense visit counts. If you’ve heard of ‘deciles’ – set that concept aside. Grouping members into ten equally-size segments (equal either by counts or spending) is a method used in ancient direct marketing efforts, but visit segmentation in a restaurant setting must make common sense and have fewer segments. Those with just one visit. This will be a large group. It’s a classic challenge in loyalty programs to get those with one visit to have the second visit, the third and so forth. Those with “a few” visits. These might be newer members ramping up, or those who come in less that once per quarter. Those who come in with more regularity, but not necessarily “regulars.” Quarterly or more, but far short of monthly. Those who appear to have a pattern for more frequent than quarterly, but the pattern is not quite monthly. Those whose pattern of frequency appears to be monthly or more frequent. Using some fictitious data, the segmentation grid might look like this. Note we’ve included a simple letter code to identify each segment so that it’s easier to refer to later in this roadmap. So what do we do with these groups? We construct promotional offers that are in the context of the loyalty program. The natural approach for restaurant operators during times of sagging sales is to create menu-item based promotions combined with discounts to drive traffic. Such promotions are important for attracting new guests (loyalty programs rarely attract new guests, but instead engage those new guests after they have experienced the restaurant for the first time). Segments A and B (lower frequency). Let’s present these groups with a strong, but short-term offer. Double points on all purchases for 30 days. Segments C, D and E (higher frequency). Let’s present these groups with an offer that is not quite as strong, but with a longer duration. A 50% bonus on all purchases for 60 days. The double point bonus for the lower frequency segments helps to get those guests more engaged and potentially build a strong pattern for the future. The 50% bonus for the more frequent guests who are already engaged with the program encourages those members to consolidate as many of their casual-dining visits with your restaurant versus the other competitors that are in their consideration set. In tough economic times that create sagging restaurant sales, consumers seek maximum value. These promotions create maximum value. These promotions are not broadcast to your entire customer base. They are delivered via e-mail directly to each selected member. The offer is not made public; it’s presented as “an exclusive, limited-time offer for you”. The mechanical process of awarding the bonuses is something configured within your loyalty program technology platform. Assuming you are operating within a platform that has the expected functionality in today’s loyalty landscape, this shouldn’t be a terribly complicated configuration process. How can we determine how well this works? Use the time-tested process employed with scientific experiments and many marketing programs: a control group. A control group is a randomly-selected group, extracted from a larger group. 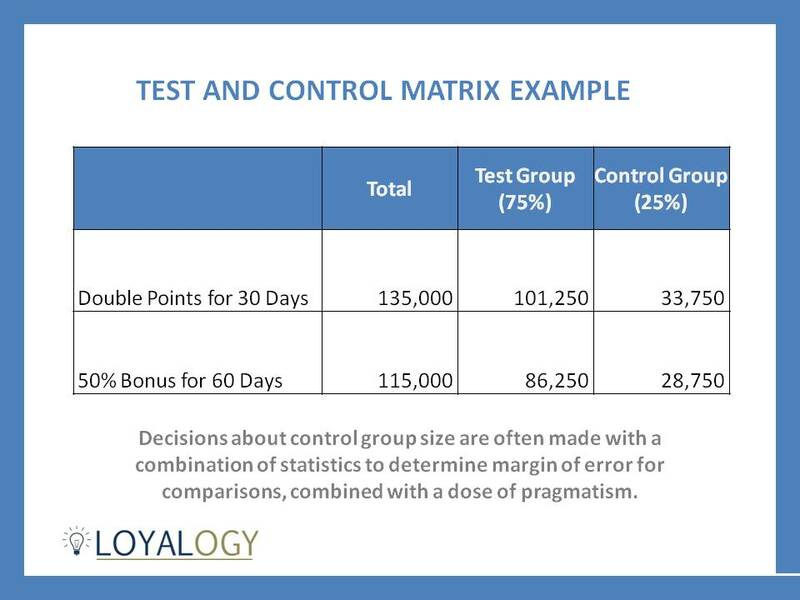 Those who are selected to receive the offer are considered the “test group” while those who are withheld at random and do not receive the offer are considered the “control group.” While analyzing the performance of the program, the test group is compared to the control group. The only difference between the two is that one group received the offer while the other group did not. Therefore, any difference between the behaviors of the two groups may be conclusively attributed to the promotion itself. Here’s an example of a matrix that includes the counts in the test groups and the control groups. We have used 25% as the control group percentage. Decisions about control group size are often made with a combination of statistics to determine margin of error for comparisons, combined with a dose of pragmatism. Once you have the mechanical process of handling the bonus points configured in your loyalty program technology platform and you have the language and creative content developed for your targeted e-mails, you’re ready to finalize the selection of your test and control groups and get this deployed. Once the promotions have been deployed, measure regularly rather than waiting until the promotions have completed. A daily review is not uncommon. Now is the time to elaborate on the process of comparing the results of the test and control groups. If the two are the same size, it’s relatively easy. Just compare total visits and total spending from one to another and you’re done. However, it’s often the case that the two are not the same size, so we should explain the nuance of making such comparisons. Because in this case the control group is smaller than the test group, the spending and visits for the control group must be normalized. 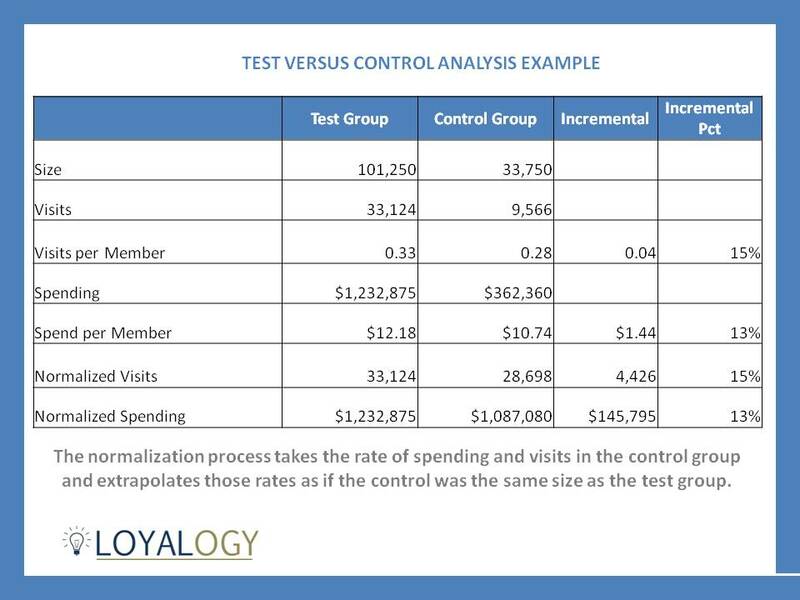 The normalization process takes the rate of spending and visits in the control group and extrapolates those rates as if the control was the same size as the test group. Take the total spending and visits in the control group and divide by the size (number of members) of the control group. This yields spending per member and visits per member in the control group. Multiply the control group spending per member and visits per member by the size (number of members) in the test group. This yields the extrapolated total spending and total visits as if the control group was the same size as the test group. Once the promotional period has completed, conduct a final review seven days after the conclusion. In this final review, break down the test and control evaluation among the five different segments (A, B, C, D and E). Analyze the seven days after the end of the promotion because it is not uncommon to experience a “halo effect,” describing the phenomenon in which the test outperforms the control group for a short period after the conclusion of the promotion. Promotions such as these will almost always generate incremental sales; it’s just a question of how much incremental sales. A typical range to expect is 5% to 15%. One additional element of cost to include in your final analysis is the cost of the extra points. If, for instance, your program has what appears to be a “face value” rewards percentage of 10% (you earn one point per dollar and 100 points converts to a $10 reward; 200 points converts to $20, etc.) and your food cost is 30%, then for planning purposes you can assume that a point has a $.03 (that’s three cents) cost value. NOTE: the face value of a point is $.10 (ten cents) because in this example 100 points = $10, so one point = $.10 (ten cents). But the actual cost is the food cost percentage. Using 30% in this example, 30% of $.10 (ten cents) is $.03 (three cents). You’ll learn a great deal from this test. The most important thing you’ll learn is how to go through the process from analysis through planning and execution and measurement. This can be done quickly these days. It shouldn’t take months to get something going; more like a couple of weeks. Once you’re proficient at this it will be second nature and you should test promotions periodically in a quest to outperform the last great promotion you ran. The key is to not execute these promotions on a predictable schedule. If you have check-level detail data (each individual item on the check) that is accessible through your loyalty platform, you may be tempted to develop a highly individualized approach to this. Proceed with caution. If you are more advanced in your analytic and marketing efforts, you may find success with this. However, when you’re in the early stages of developing your proficiency with the analytics, planning, execution and measurement it’s best to keep it relatively simple. Once you have benchmarked the incremental spending you experience with the relatively simple approach and decide to put your toe in the water and try something more complicated using check detail, you’ll have a point of comparison. Does the more complicated approach generate a better return? If so, does the incremental return adequately compensate for the additional resource (time, money) consumption associated with the more complicated approach? Some may read this and say “that’s not real loyalty – that’s just transactional loyalty.” There’s quite a bit of this discussion that goes on with many of the people who operate in the conceptual loyalty space. I’ve seen plenty written and I’ve heard plenty of speeches that state idealistic beliefs about the relationship between a brand and its customers. Some describe a level of loyalty that a husband has towards his wife or that a German shepherd has towards its person. Granted, there are some who absolutely love a company they do business with. Those are the rare customers that are ambassadors of a brand and spread the word but they do not by themselves make up a population that can come close to supporting that business. For the lion’s share of customers, a brand satisfies a need for them in a manner that develops into a positive feeling about the brand, but that brand, in most cases, gets a share of that customer’s spending rather than all of that customer’s spending. That is very much the case in the restaurant business. And that’s the reality of the application of loyalty marketing in the restaurant business. That’s a fact.